In February I downloaded Apple Seeds and Murderous Deeds by Kathy Cranston, which is a very good little Irish cozy series that I didn't know existed. This story was very funny and the murder mystery was a good one as well. I liked main character Fiona, he entrepreneur spirit and her large Irish family. Overprotective, loyal and loud, the McCabe family is exactly as you would picture a large loving Irish family to be. I really enjoyed the story behind the mystery and the way I felt while reading it. I am going to purchase the next one in the series for sure, this one was really good and I don't want to end my time with the McCabe family just yet. Her crazy family and unprofitable bar were enough to contend with. Now Fiona McCabe has a murderer on her heels. Worse still, the local Garda sergeant seems to think she was involved in her old friend's murder. 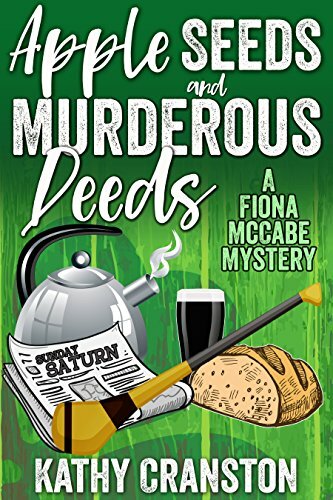 With the police sniffing around her bar and a murderer on the loose, things aren't looking good for Fiona. Luckily for her, she's got the McCabe clan fighting her corner. Can they dig through their small town's web of secrets to solve the mystery and find the real killer? 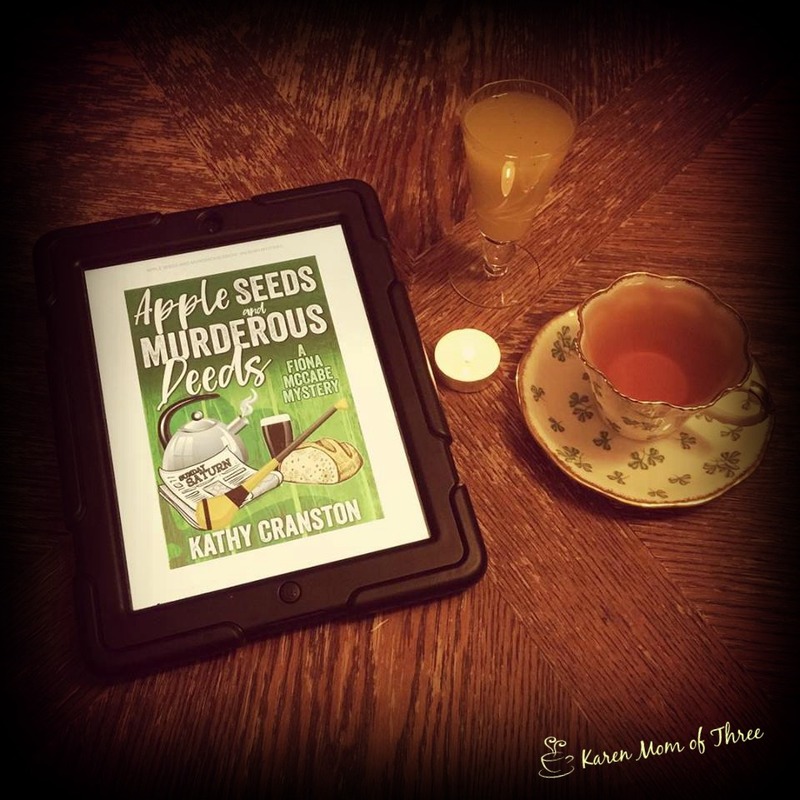 Apple Seeds and Murderous Deeds is the first novel in the Fiona McCabe cozy mystery series. All of the books are standalone mysteries.